PIERRE, S.D. 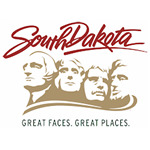 –The Governor’s Tourism Advisory Board has selected its officers for 2019. Ivan Sorbel* of Kyle was reelected the board president during a meeting today in Pierre. Kristi Wagner of Whitewood was reelected vice president. 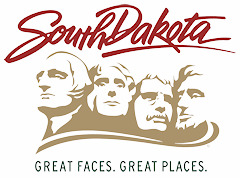 Current Tourism Advisory Board members include Caleb Arceneaux*, Rapid City; Tom Biegler*, Sioux Falls; John Brockelsby*, Rapid City; Ted Hustead*, Wall; Ann Lesch*, De Smet; Julie Ranum*, Watertown; Carmen Schramm*, Yankton; Frank Smith, Gettysburg; Ivan Sorbel, Kyle; and Kristi Wagner, Whitewood. L. to R.: Ann Lesch, De Smet; Ivan Sorbel, Kyle; Carmen Schramm, Yankton; Caleb Arceneaux, Rapid City; Julie Ranum, Watertown; John Brockelsby, Rapid City; Kristi Wagner, Whitewood; Tom Biegler, Sioux Falls; Frank Smith, Gettysburg. L. to R.: Ivan Sorbel, president; Kristi Wagner, vice president.